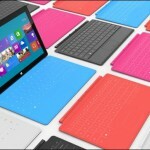 On June 7th, Microsoft announced big improvements to their cloud offering – Windows Azure platform. The new features announced included “Free” Websites, Linux Virtual Machines, Media streaming & Big Data (Hadoop on cloud). You can watch the day’s keynote by Scott Guthrie here. 1. First step is to visit Windows Azure .NET Developer Center and click on the big blue “install” button. 2. 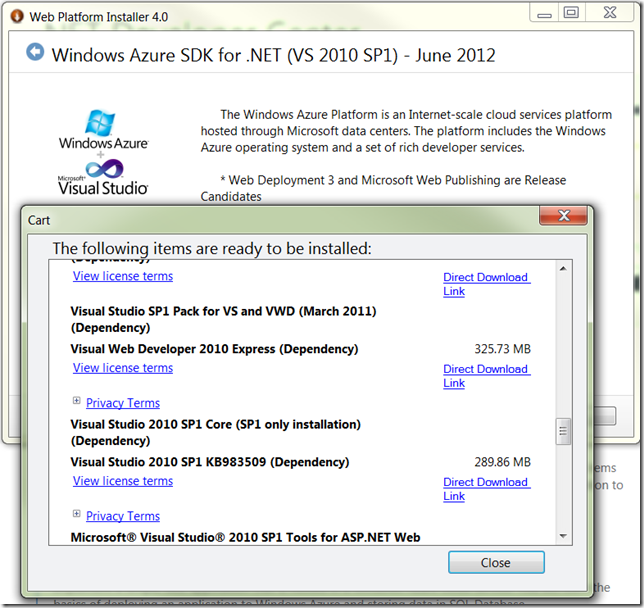 It will prompt you, whether you need to go with Visual Studio 2010 or Visual Studio 2012 (Release Candidate). Depending on your choice a small bootstrap executable will get downloaded. 3. The executable that gets downloaded is called Web Platform Installer, which is smart enough to figure out dependencies that needs to be installed for Azure SDK to work. If it detects an existing Visual Studio installation the installer downloads & installs only the Windows Azure SDK bits & templates for Visual Studio. In my case where I took these screenshots there was no Visual Studio, so it included to download and install “Visual Web Developer 2010 Express” apart from other required files – seen below. 4. 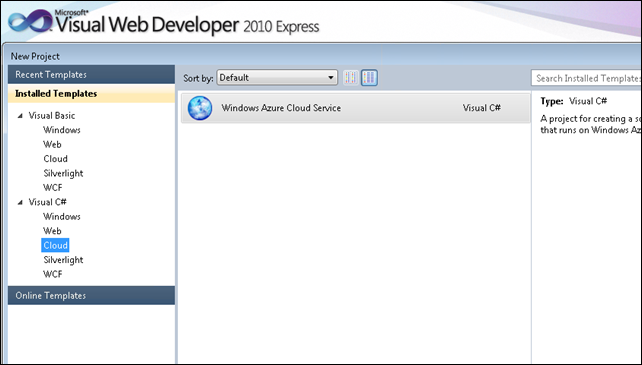 Once everything is downloaded & installed, you can launch Visual Web Developer 2010 Express. 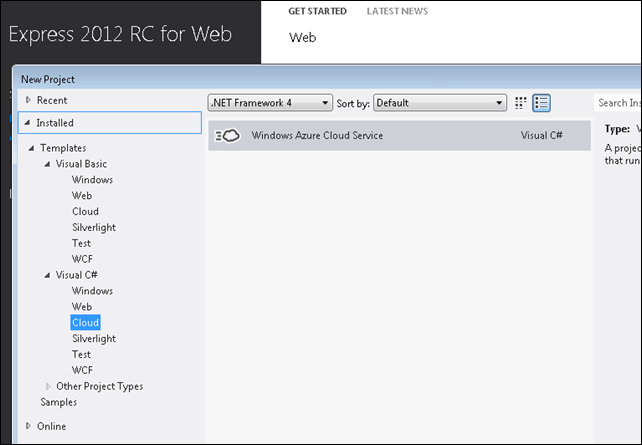 Go to Visual C# (or Visual Basic), Cloud and you will see the “Windows Azure Cloud Service” template. You are all set to writing your first Azure app. 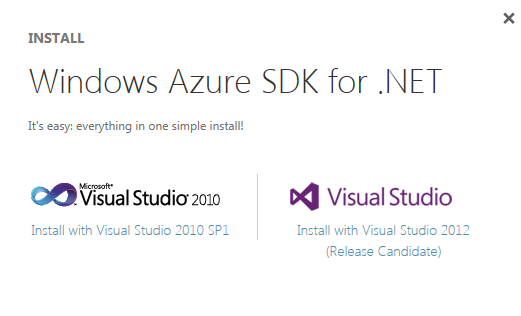 This post was meant to be just a pointer on how to get the free tools to begin Windows Azure programming. You will find all necessary documentation, how to & learning materials in Windows Azure Dev Center. 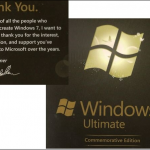 How to get Windows 7?